Addressing the skills gap is never an easy task, but understanding it is the first step towards correcting it. 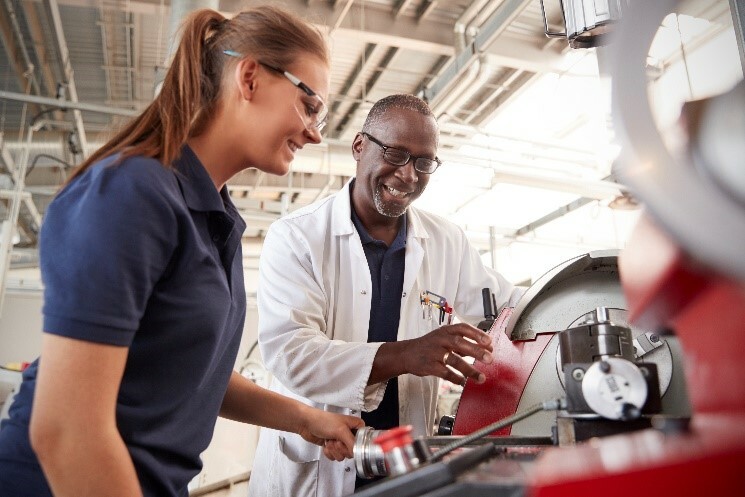 In this article, we will consider what some of the biggest companies in manufacturing are doing to bring in a new generation of talented engineers. ‘our esteemed institutions are churning out many graduates with impractical degrees’. This was said in relation to the fact that many of the children currently entering primary schools will be working in roles and jobs that we can scarcely imagine now. Engineers working on solar-powered cars, or farmers with chemistry degrees perfecting automated farms functioning on hydroponic systems – these are just the tip of the iceberg. The Dyson School doesn’t just teach Masters and PhD courses, their curriculums also give students the knowledge they need to succeed in the real world by teaching them about commercial strategies too. This means that their talented engineers are less likely to disappear under the radar once they graduate. What will surprise some readers is that the school is only in its fourth year of teaching, but perhaps their fresh outlook is precisely what the engineering education sector needs at this moment in time. They receive sponsorship from major players in the world of engineering, such as NASA, CERN, and even the NHS, which helps the school to continue to improve and develop its premises, as well as its students. Some projects that the students of The Dyson School have been tackling include improving solar-powered electric racing cars, quad-rotor drones and helium balloon spaceflight systems. In other words, those who study at The Dyson School will be working on solving problems and issues that will be present in the future, making their ideas and work extremely relevant. In contrast to many institutions, their courses are more than just academic – they are practical too. For an industry that thrives on innovation, we must ask ourselves why we are one of the sectors with the greatest resistance to change. On average, only 12.9% of the people applying to engineering courses are women, but The Dyson School of Design Engineering prides itself on an almost even split of 48% female students. This teaches the engineering industry that change is possible, and it is happening now. One aspect that other universities and schools would currently struggle to replicate is The Dyson School’s dedication to providing its students with a debt-free experience. Students at the school are picked from the brightest and best and are subsequently awarded free tuition upon entry to the university. Is the Future of Engineering in Masterships? How to Inspire Future Generations of Engineers? We firmly believe that the future of manufacturing could be bright if we put the effort into fixing the skills gap now. We think that more schools like The Dyson School of Design Engineering would make the difference, alongside more teaching in schools that apprenticeships are not necessarily less respected than a university degree, and that careers such as our own could be more beneficial than the debt they will incur at university. There are plenty of companies already supporting the next generation by providing apprenticeships. Firms such as British Gas, E.ON, Rolls Royce, Virgin Media and the Royal Navy are just a few of the possible places where the youth of the today can develop their skills and improve their CVs. Will your corporation be the next to join this list of forward-thinking engineers?